The latest edition of the Australian Nonprofit Sector Legal and Accounting Almanac has been released. The publication was launched last night by Justice Debra Mullins of the Queensland Supreme Court at the Queensland Law Society. It is a joint effort of Australian Centre for Philanthropy and Nonprofit Studies at QUT (ACPNS), PilchConnect and the Australian Charity Law Association. The annual publication contains a summary of significant cases, legislation, tax and accounting issues impacting on the Not for Profit sector as well as topical updates written by practitioners. 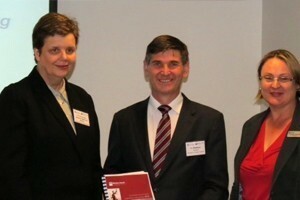 A number of legal and governance practitioners have contributed articles on issues facing Not for Profit organisations including accounting standards; fringe benefits tax; workplace health and safety law reform; consolidation of Anti-Discrimination Acts; development of the law of charity in Australia; the legal status of churches; taxation of school building funds; governance of nonprofit organisations; the ins and outs of DGR status; and a round-up of reforms, cases or contentious issues in the UK, Canada, and New Zealand. Significant tax cases such as Commissioner of Taxation v Bargwanna, The Chamber of Commerce and Industry of Western Australia case and The Southland Christmas Parade Charitable Trust decision NZ are all discussed, as well as some sixty other decisions in relation to trusts, bequests, fundraising, employment, volunteer and officer liability.